Companies presently offering vacancies for Designer roles in Canada include Scotiabank, Vancouver Coastal Health, Deloitte.. The largest category under which open Designer jobs are listed is IT Jobs, followed by Other/General Jobs. There are 25,041 vacancies for Designer roles in Canada available immediately, compared to 10,532 in Ontario. 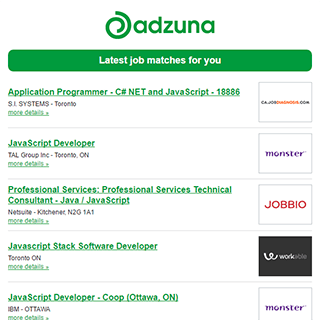 Get the latest Designer Jobs in Canada delivered straight to your inbox!